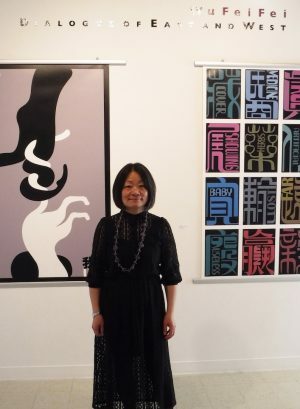 From April 3 through May 12, 2017, the South Gallery at the Ben Shahn Center for Visual Arts is exhibiting the works of award-winning graphic designer Wu FeiFei. The title of the show is Dialogue of East and West. Dialogue of East and West shows large prints of English text that cleverly and artistically melds together with the Chinese alphabet. In FeiFei’s prints, she also uses images of nature mostly trees that seem to dance and gracefully interlock with each other. FeiFei shows a deep appreciation for language, especially the Chinese language. 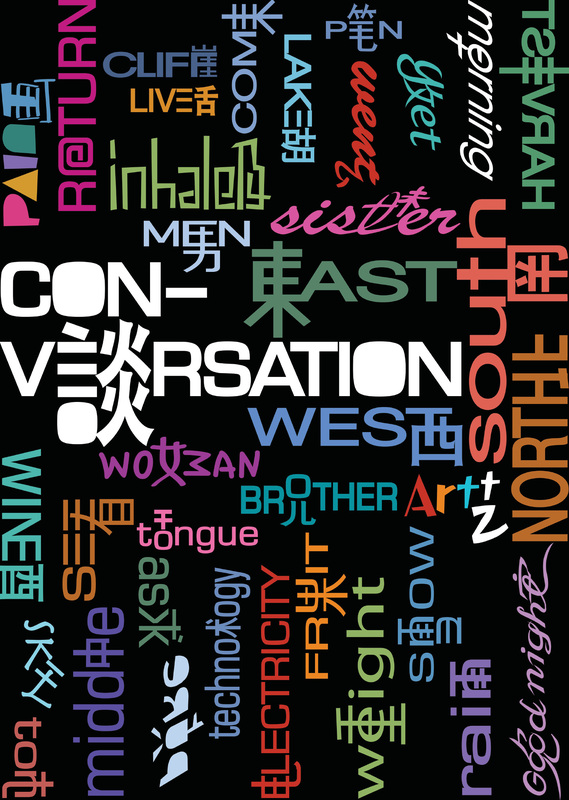 Her textual ideas that contain both the English and Chinese alphabets form from the idea that perhaps someday our different languages will become one sole language, a universal language. Creating cultural harmony is something FeiFei believes in and says that’s her purpose. She acknowledges the similarities in nature. Just as trees lose their leaves in the winter and come spring many trees sprout newer leaves, so do animals when they are born and humans as well. She also sees beauty in the winter when the trees only have branches. To her, the trees seem to dance. She says that maybe they are in love with each other or married, as she smiles. Wu FeiFei studied visual communication design at Shanghai Light Industry College in China. She received an MA in public art from the School of Design at East China Normal University. She attended the University of Applied Sciences in Nuremberg, Germany for a year to further her studies in visual communication design, and was invited to be an academic visitor at the Southhampton Solent University in the United Kingdom in 2012. Her work has been exhibited nationally and internationally at the 9th Asia Graphic Design Triennial, Seoul, South Korea in 2015; Tmava Poster Triennial, Tmava, Slovakia in 2015. The 70th International Design Exhibition, Seol in 2014. 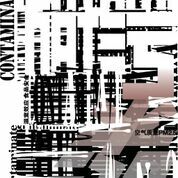 The Ukraine VIII International Triennial of Ecoposter, Kharkiv, Ukraine in 2012, The Golden Bee 10th Moscow Global Biennale od Graphic Design in Moscow, Russia in 2012. She has received numerous awards including the Red Dot Design Award in 2012. The Shanghai Education Achievement Award in 2004, 2009 and 2013. The National Education Achievement Award in 2014. In 2015, she was selected as the Shanghai Model Worker and was awarded the title of March Red-Banner Pacesetter, an honorary title for women with extraordinary achievements and outstanding contributions toward building socialism. Design Committee of the Shanghai Municipal Education Commission, the Shanghai Designers Association, the Shanghai Artists Association, the Design Committee of the China Packaging Federation, and the China Arts and Craft Society. The exhibition is one of three on view concurrently in the University Galleries. African Art from the Tobias Collection in the East Gallery and the Here/Now: The Annual Student Art Association Exhibition in the Court Gallery.